This year I have learned many useful things. How I want to treat people and how I want to be treated. 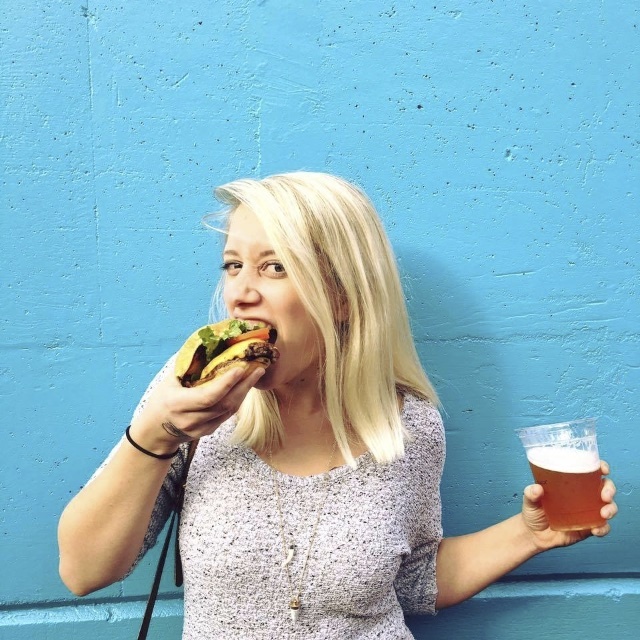 How to operate on a budget. How to play a guitar. How to write a structured song. How to write an unstructured song. But possibly the most random thing I learned this year so far? 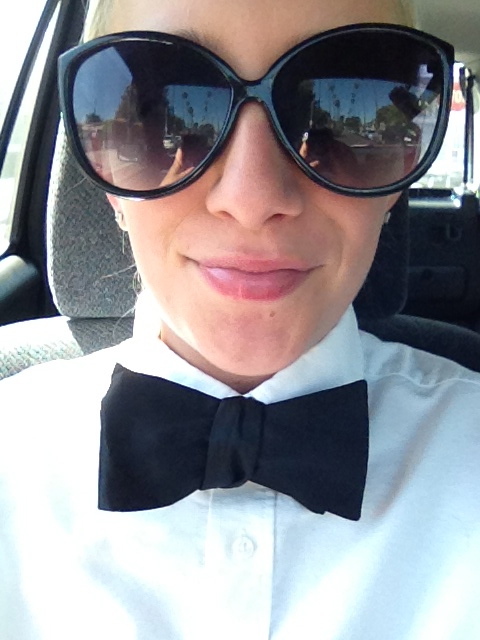 Ridiculously enough, my job requires a bow tie as part of the uniform. Yes, even for us women folk. And yes, it’s a real bow tie. In the service industry, most of us learn how to tie a tie sometime in our teens. I wore an ice-cream tie rotated with an M&M tie for much of my Macaroni Grill career. But the bow tie is one step above. Even grown men who wear suits six days a week don’t know how to tie bow ties. I get challenged on a daily basis by business men that my bow tie is a clip on. I assure you, sir, it is not. 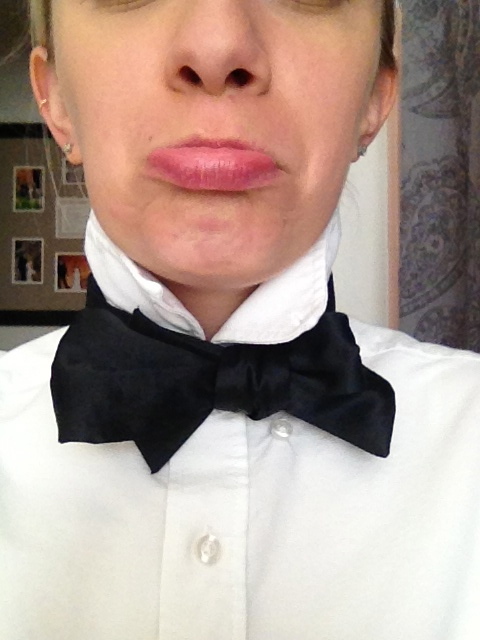 My first day wearing a bow tie was a strange (semi-low?) point in my life, but it started off YouTubing exactly how to make this work. I found my new friend Charles French. 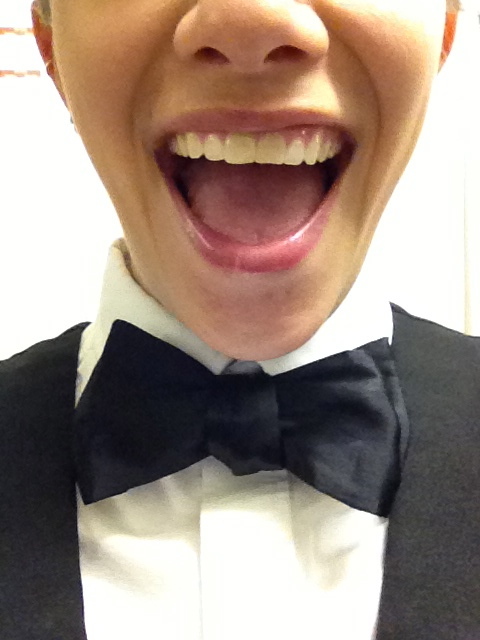 After a few times watching and pausing and rewinding and tying in front of a mirror… my bow tie looked like this. Charles would not be proud. But after a couple more tries, I had come up with something resembling an actual bow. And now, a few months later and having to wear a bow tie roughly 4 times a week, I’m pretty darn good at it. I can get to work 2 minutes before my shift and have the perfect silly cartoon character bow tie on and behind the bar by 6:00 sharp. Doesn’t it go well with my ridiculously large sunglasses? Even this one above is early in the bow tie tying days. I am almost upset about it enough to put on a quick bow tie and take a picture of it for you… Almost. What a strange, strange talent to have. I think I’ll put it on my resume? This is like the cutest thing ever!